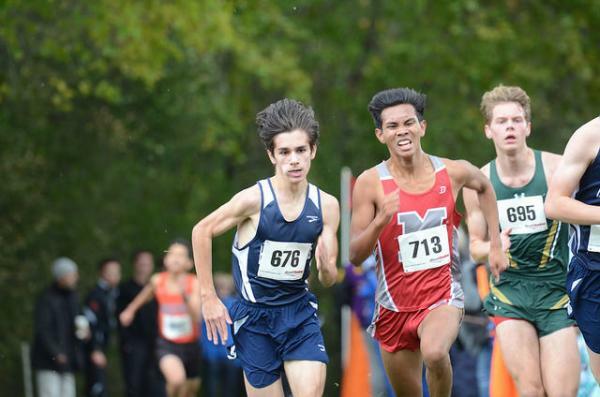 The IHSA 3A Cross Country Libertyville Regional was a mix of excitement and disappointment. 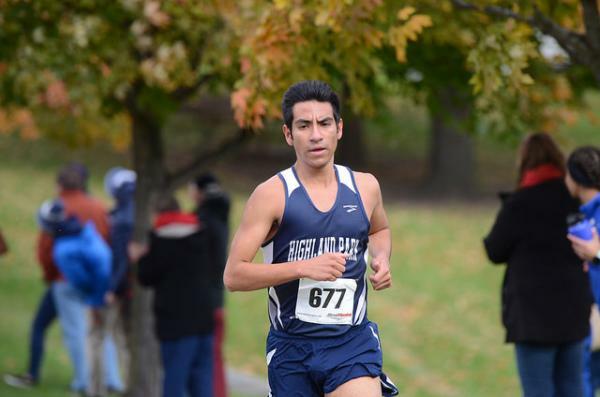 Jose Reyes continued to prove he is an elite runner as he took the lead just before the mile and never relinquished it. 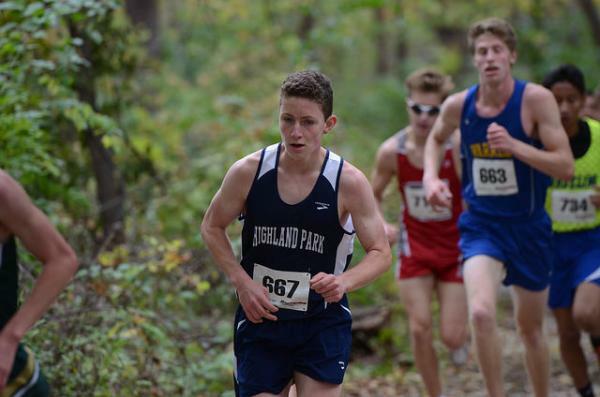 He pulled away to win the Regional title in 15:46.3 as second place came across the line in a distant 16:07.0. Jason Polydoris had the misfortune of someone stepping on the back of his shoe causing it to fall off at the beginning of the race. He struggled through nearly 2 miles of the race until members of the HPHS girls cross country team found the shoe and got it to him to put back on for the final mile or so of the race. Polydoris ran a gutsy last mile to come through in 16:56.8 for 22nd place well behind what he is capable of running. Alex Brown had a strong race as he ran 16:58.2 for 26th place. He was the 2nd freshmen finisher in the race. Erik Anderson was the next HP finisher as he came through in 17:43. He was followed by the duo of Jordy Mazza (18:30.3) and Tyler Carlson (18:33.5). Jack Shulman came in with a time of 18:54.5. The team ended up missing qualifying by only 2 points! This was a disappointing end to the season for the team. Reyes, Polydoris, and Brown all qualified as individuals to the Hoffman Estates Sectional at Busse Woods. All returning members of the HP team need to reflect on their own journey this season and what they did well, but more importantly what they need to do better. For most it is train more over the summer, for some it is be more committed to the lifestyle of a distance runner, for others it is to make sure they get the recovery necessary throughout the season which may mean not overextending themselves in other endeavors. The program has the talent to be successful, but everyone needs to to their part to make that happen. Who will be the runners to step up next year to be leaders, set the example for what it takes, and hold their teammates accountable for the high expectations of the program??? 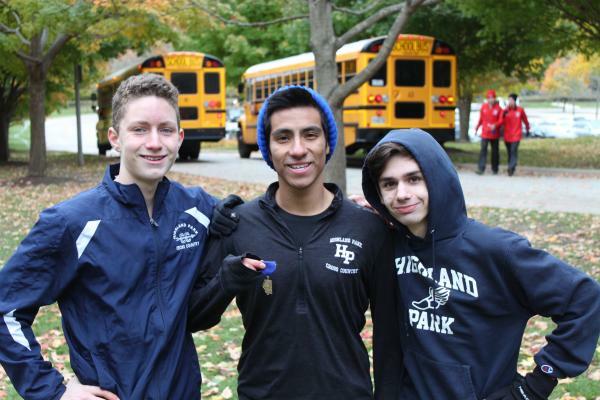 For now, the team will be there to support Jose, Jason, and Alex as they have earned the right to race at Sectionals. It will be thrilling to see these three great runners race their best when it counts the most!